For this reason, Dr. Katherine Schier’s dental office meets and surpasses all OSHA (Occupational Safety and Health Administration) and CDC (Centers for Disease Control and Prevention) standards. We are confident that you will feel right at home in our Kalamazoo, MI dentist’s office. Our office is equipped with the latest in dental technology to better serve you. 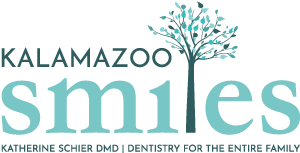 If you would like to make an appointment with our Kalamazoo family dentist, please contact our office by phone at (269) 353-3700 or request an appointment online. We will be more than happy to submit all dental insurance forms for you to help you recover the most from your benefits. Our family dentist will do everything she can to help you afford the family and cosmetic dental treatment you want and need. For patients who require major dental work, we’ll design a complete payment plan with an appropriate payment schedule. Our Kalamazoo dental office accepts cash, check, or any major credit card. If you are unable to keep your dental appointment, we ask that you kindly provide us with 48 hours of notice. We ask for this advance notice so that we can offer this appointment to another patient. Dr. Schier has years of experience in cosmetic and family dentistry. To make your first appointment with our Kalamazoo, MI dentist, request an appointment online or give us a call at (269) 353-3700 today!